Are you in search of a company providing canvas poster printing services? Then look no further than Superchrome. We are one of the leading large format printing companies in the UK providing specialized printing services, including canvas poster printing. You can enjoy high quality canvas printing services from here. As canvas posters are getting more popular these days in promotional events, election campaigns and surveys, we at Superchrome realize the importance of providing canvas poster printing services tailored to fulfill the varied canvas poster printing needs and concerns of our customers. At Superchrome, we offer different types of canvas poster printing services such as digital, offset, large format, short run, custom and full color printing. We can provide canvas poster printing services for printing common canvas posters, visual art canvas posters, modern art canvas posters, vintage canvas posters and a lot more. These prints are given on a variety of heavy or light versions of UV coated artists’ canvas materials such as glossy canvas, matte canvas and coated cotton canvas. 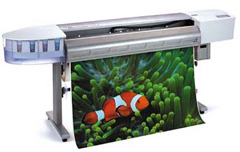 Using our state-of-the-art digital computers and wide-gamut, 8-color high resolution printing machines, we can make brilliant and long-lasting canvas posters. We have absolute confidence in our skilled graphic artists who possess deep experience in art, imagery, photography and printing. We utilize unique poster printing software sporting several different templates and ready made design options. Superchrome provides mounting services on superior quality stretcher frames on request. Our canvas poster printing services are fast, reliable and amazingly affordable. They are good for domestic interiors and quality presentation in exhibits and trade shows. Recently, they have proven to be best for trade show exhibits, in-store point of purchase displays, courtroom graphics, presentations, photographic artwork and other purposes. At Superchrome, you can avail of our online canvas poster printing services where you can customize your canvas posters using a wide variety of options. Our online canvas poster printing services enable our customers to view and compare prices too. If you are interested in our canvas poster printing services, please contact us with your printing requirements as early as possible. Our prints are delivered bubble wrapped if stretched and sent by Royal Mail. We assure a fast turn over time of just two to three days. Our high quality canvas poster printing service is very competitively priced. Contact us for quotes. If you would like to know more about canvas poster printing service, any of the projects shown or if you want to discuss any project you have coming up then contact us 020 7237 9333 or fax 020 7237 9444 or email sales@superchrome.co.uk. Our experienced personnel would be able to guide you appropriately.